FINAL STEP: Create Your Account to Claim Your Bonuses! 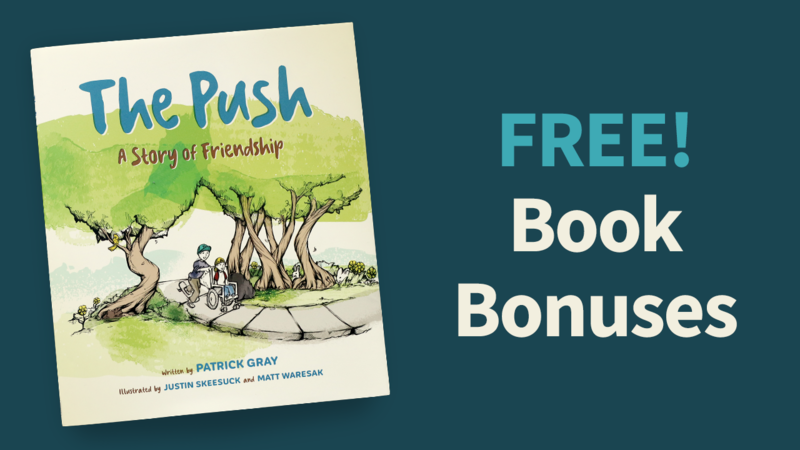 FREE — Access to The Push Online Bonus Material. Contains a downloadable activity & discussion guide for you and your child, a special video from author Patrick Gray! FREE — Audio (MP3) of author, Patrick Gray, reading The Push. FREE — Downloadable/printable coloring worksheets for your child.